Dance your cares away with this omnibus collection of short stories featuring the beloved characters of Jim Henson’s Fraggle Rock. Celebrating 35 Years of Jim Henson’s Fraggle Rock! Rediscover the wonderful world of Jim Henson’s iconic television series Fraggle Rock in this definitive collection of tales from some of the most imaginative minds in comics. Mokey, Wembley, Boober, and Red are back, dancing, playing, and trying to stay out of trouble in all-new adventures. 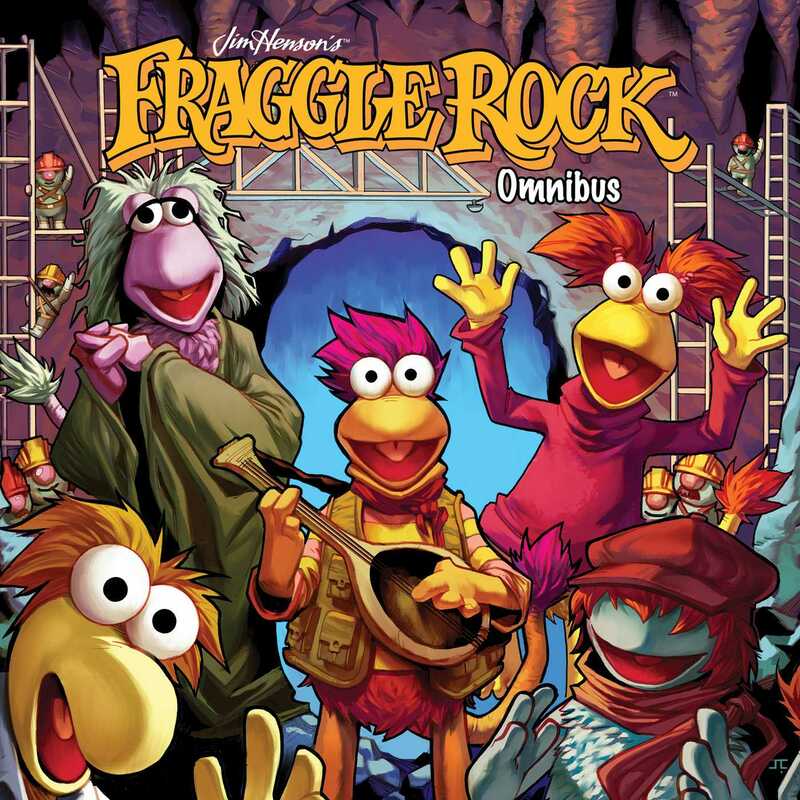 Featuring heartwarming stories by Jeffrey Brown (Star Wars: Darth Vader and Son), Cory Godbey (Jim Henson’s Labyrinth Tales), Katie Cook (My Little Pony, Gronk: A Monster’s Story), and more, Jim Henson’s Fraggle Rock Omnibus is a celebration of friendship and fun. This collection also includes forewords from Karen Prell and Dave Goelz, the puppeteers of Red and Goober in the original Fraggle Rock television series.